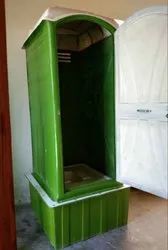 Offering you a complete choice of products which include frp economical bio toilet, ss 304 toilet, sustainable toilet, stainless steel toilet, economical bio toilet and frp economical bio toilet with 200 liter biotank. 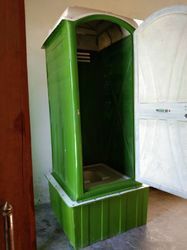 – 20 hing- One SS squating pan tank and tap- With door and necessary door fitting,- With internal ½” PVC piping, ½” PVC tap-With suitable internal electric lamp holder, switches and internal plumbing fittings- Suitable exhaust fan for air re-circulation. 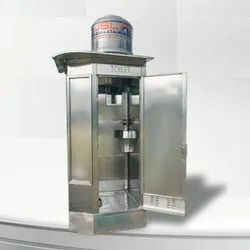 - Size - 3 ft x 3.5 ft x 6.5 ft, - SS 304 MOC, Wall Thickness – 40mm- Both side finishing- One SS Indian Pan with tap - With SS door and necessary door fitting,- With internal ½” PVC piping, ½” PVC tap-With suitable internal electric lamp holder, switches and internal plumbing fittings- Suitable opening for air circulation. 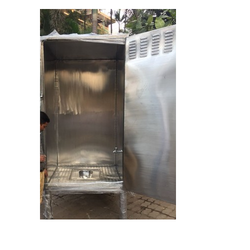 - Size- 3ftx3ftx7ft- Indian FRP toilet seats- With FRP door and necessary door fitting.- Wall Thickness – 2.5 mm.- Oneside Finish. 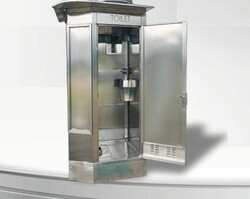 Looking for Portable Toilets ?